Style Your Way To PARIS: Are You Ready For That Dream Trip?! Do you have a blog? Have you always wanted to visit Paris? Yes and yes? Then THIS is your chance! The reward? A 3-day all-expenses-paid trip to Paris! 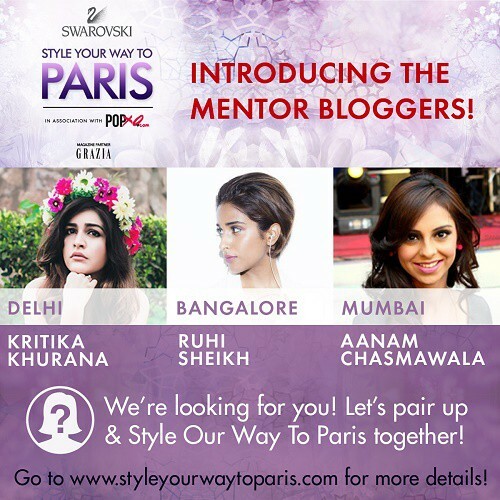 You and your mentor will compete with the other city teams to win a fabulous 3-day all expense paid trip to Paris AND you get all the glory that comes with being the Swarovski Style Your Way To Paris 2015 winner!!! In Paris, the winners get to check out the Paris Fashion Week Spring-Summer 2016 Swarovski Jewellery Collection; hang with Nathalie Colin, Swarovski's Worldwide Creative Director, at her studio, and interview her for their blogs. How fabulous is that?! 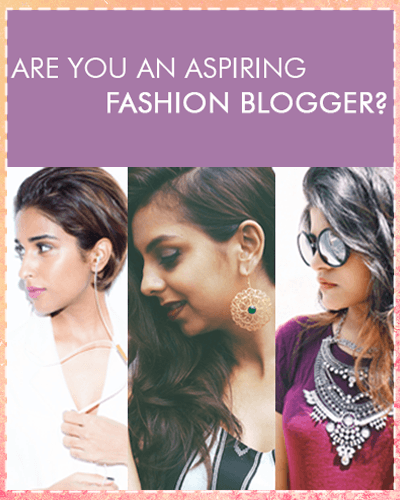 And that's not it: the winners will be Swarovski India's OFFICIAL bloggers for 6 months, starting August 2015. So, what are you waiting for, ladies? Click that #OOTD and get started already! Who are these mentor bloggers? These three AMAZING and awesome ladies from the POPxo Blog Network! It’s super easy! Send us a stunning #OOTD photo or “Outfit Of The Day” photo and/or a very short, entertaining video (starring you in your #OOTD, obvs)! You HAVE to use #StyleYourWayToParis, of course. And tagging #SwarovskiIndia @swarovski and @POPxoDaily is always a good idea! Facebook, DUH. Or Instagram! We like Twitter too. And, of course - the last resort - good old email! 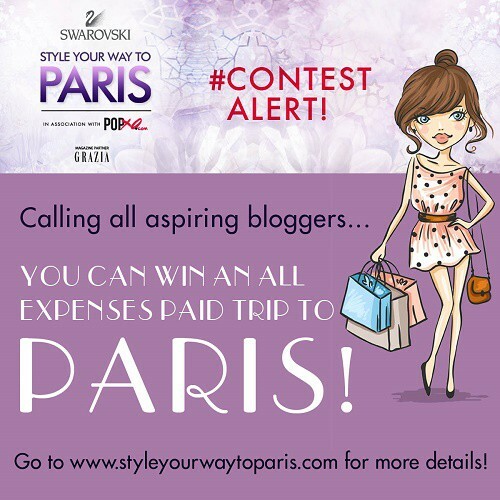 Check out the details of exactly how you go about it on www.styleyourwaytoparis.com. OMG, how long do I have to do this? Not THAT long! The entries should reach us by midnight of 10 July 2015 (IST). The contest is officially open, so you better check out the rules on the website right NOW!